Please join us in giving a warm Anime Central welcome to BlackY as a 2018 Synergy Performer! BlackY began his career composing in 2011 with his activities focused on DTM. Since that time he has created many songs fans consider to be masterpieces for Konami’s SOUND VOLTEX and pop’n music series. 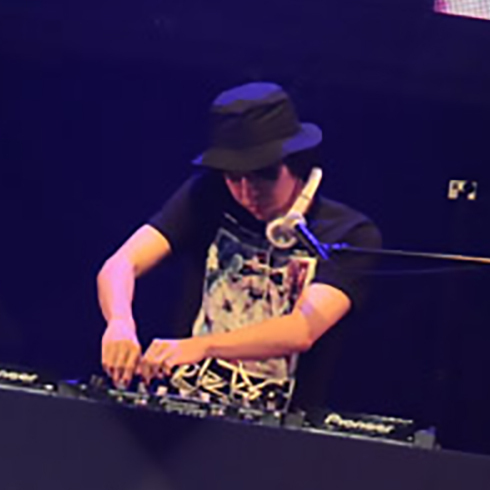 His major breakthrough was achieved when winning Konami’s “KAC 2012 Original Music Contest” with his song “Max Burning !!”. His work has earned him the title of one of the most vibrant young composers in Japan, working in music composition, remixing, and live DJ performances. In 2016 he became a member of “EDP (EXITTUNES DANCE PRODUCTION)”,which is produced by popular track maker Ryu ☆. His debut album “A Ω”was released in 2017, and his ongoing activities continue to excite fans worldwide!